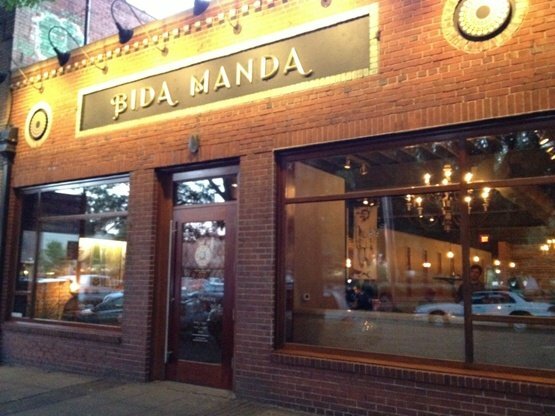 Located in the old space that housed the classic, Duck and Dumpling, Bida Manda is the latest ethnic and Asian food entry in downtown Raleigh! You wouldn’t recognize the place at all, it’s obvious Bida Manda put a lot of effort and money re-decorating the interior. Lots of natural woods and when I say natural, I mean it! The ceiling is faced with tree saplings, giving the bar an interesting, organic look. 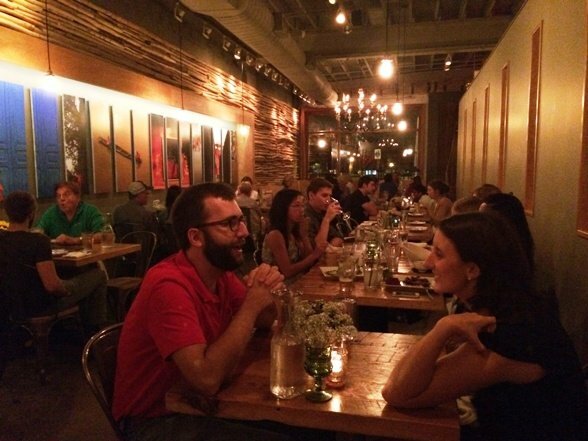 Overall the space is wonderfully decorated, perfect for a date or small dinner party. The bar area is spacious and quite sophisticated, a nice spot for a quick meal and drink if you’re dining solo. And Bida Manda comes out of the gate with some cool cocktails, I ordered up the Ginger Julep, an Asian twist on a Southern favorite. Perusing the menu I chose a stuffed pepper app along with ginger pork ribs as my main. The menu is small and while I’m not super-familiar with Laotian food, it has elements of Thai (larb), Vietnamese (pho) and even Chinese. Which makes sense given Laos’ geographic location in the region. My cocktail comes out in a stainless steel mixer with a heap of ice, looking like a snow-cone. But that isn’t fruity syrup inside, the drink is a bit potent, maybe too strong for a julep. The stuffed pepper app comes to the table next, a long, green Anaheim pepper with a spicy pork mixture inside. Not bad but not particularly memorable, either. The ginger-spiced ribs look much better: three meaty, sauced rib pieces on a pile of rice along with a side of braised boiled egg. 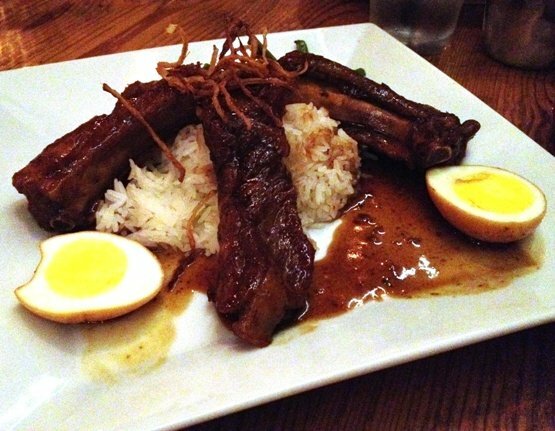 This dish is very similar to some Chinese dishes I’ve had in the past, the ribs are slow-braised in a soy sauce as well as the eggs, imparting a flavorful and rich savory undertone. 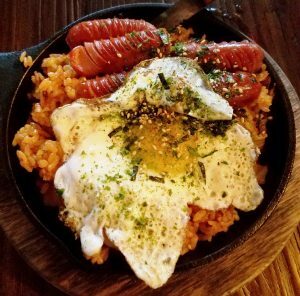 The pork is tender and nearly falls off the bone and forking some egg and rice with it makes for a great mouthful! The portion-size is just about right and the crispy ginger strips on top add a bit of a kick to the meal, well done! 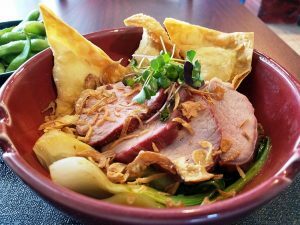 Service is solid all around even though Bida Manda has just recently opened and prices are on target, in the $13 – $18 range. So very well-done for the newest Asian playa on the food scene! My fingers are crossed that maybe Bida Manda can survive in a spot that has been tough for Asian eateries. Because from what I see, they’ve done a good job bringing a slightly Western twist to a diverse set of menu items. 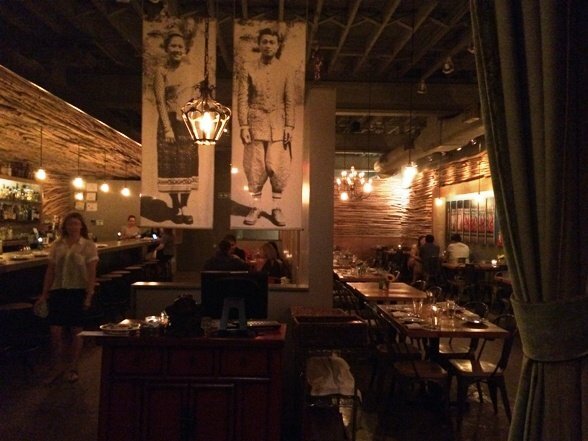 They’ve got the pricing, food and hip decor done right, now we’ll just have to wait and see if Raleigh is ready for Laotian food. They’ll be starting lunch service the week of 9/17, good luck and sohk dii, Bida Manda! 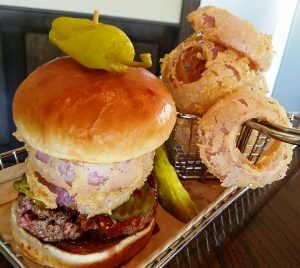 Ron, thanks for the report on this place; I haven’t see too many comments on it yet. I’m eager to give it a try. It’s certainly nice-looking on the inside. Yeah, it’s a bit different Ben. A mix of many cuisines, I’m trying to figure out what’s most Laotian on the menu if that makes sense. But it’s reasonably priced which means you can go experiment a bit… Look forward to hearing your report! Yeah, I was sort of bummed too but have you hit up David Mao’s Dumpling & Noodle Bar on Hillsborough yet? Some dishes from the old D&D. And thankfully, Bida Manda is pretty good so hopefully we win all around, Kelley!